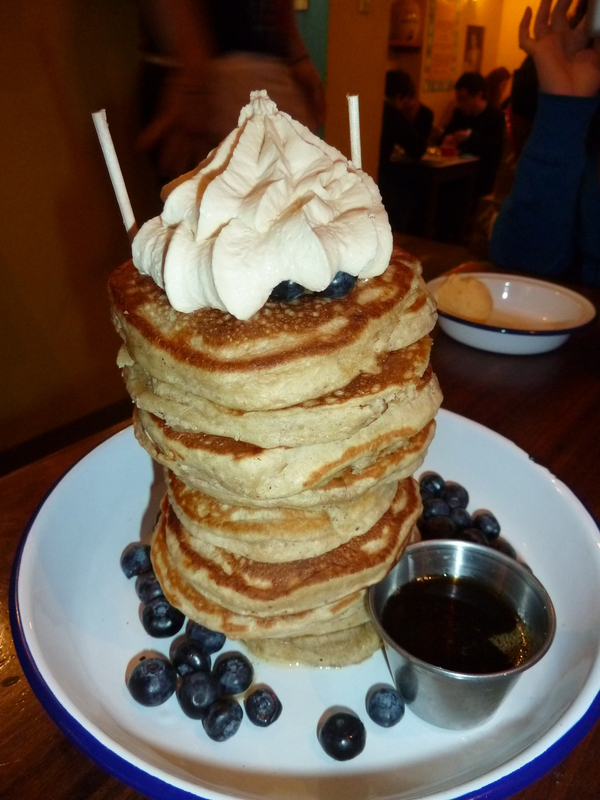 So yesterday was Pancake Day / Shrove Tuesday / Mardi Gras! I’m going to call it Fat Tuesday for a very good reason. I got fat. 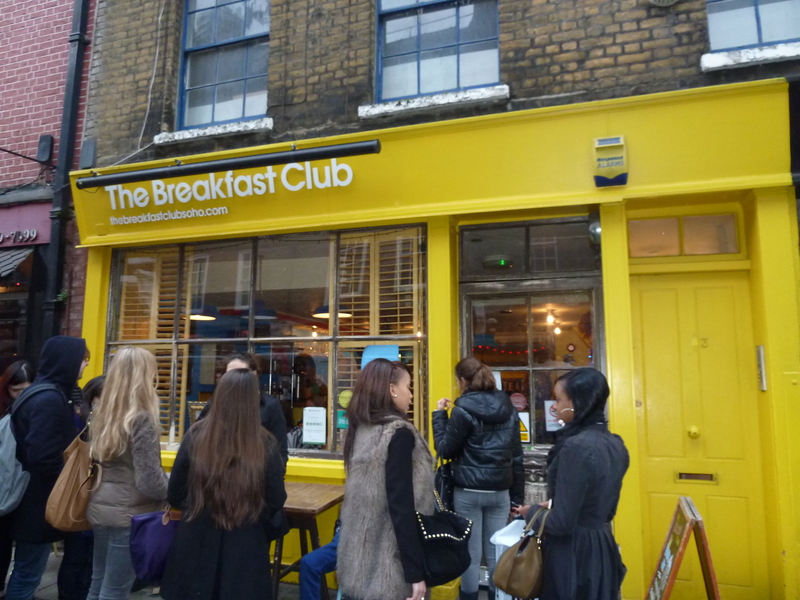 The Breakfast Club was running a challenge: eat 12 pancakes in 20 minutes and have them for free; or lose and pay £17.50 (which they then give to the charity Rays of Sunshine). Given that I’d very much enjoyed my previous visit, and given that this challenge was so ridiculous, I just had to give it a try. I have a confession though. I don’t like pancakes that much and I can’t eat tonnes of sweet stuff (even chocolate). This was going to be difficult and I had lots of pre-eating nerves. Plus I had a craving for bacon, and was trying hard not to back out and order a bacon-pancake lunch instead. However, I hate losing – I didn’t want to be thought of as some silly girl who thought she could take on some manly pancakes in her puny stomach. So, on behalf of my gender if nothing else, I was gonna bloody well eat my hardest! Oh my! That’s a lot of pancakes! 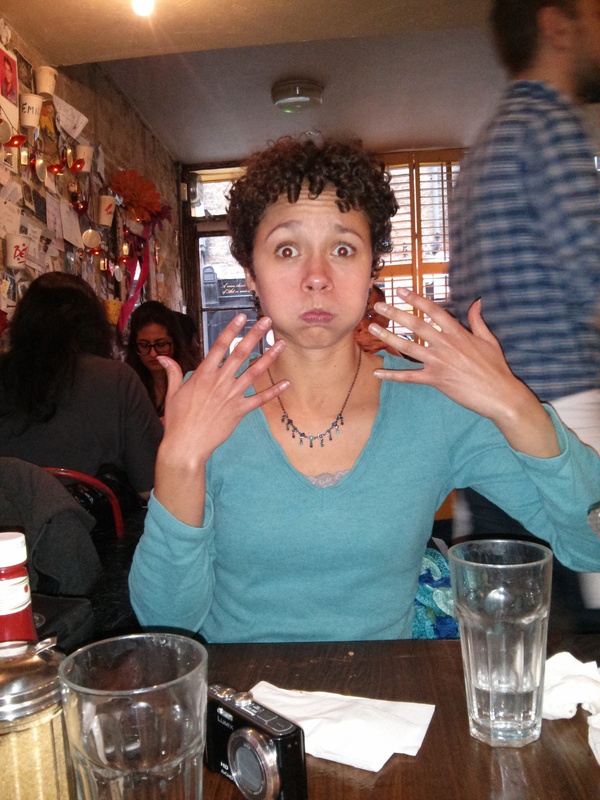 It was a struggle but I tried to remain cheerful through my chomping. Oh God, why did I do that? The main problem was not the quantity but how the pancakes absorbed all of my saliva leaving me unable to swallow them, hence the copious amounts of water I drank. For the first five, this wasn’t an issue. But the next seven were tough. On completion, I didn’t feel euphoria. I felt zombiefied. And I really wanted something savoury. In fact, I still fancied some bacon. Whislt I’d like to pretend I was triumphant all afternoon, I actually crashed and sat around in a sugary stupor until 8pm at night, when I dragged myself to muay Thai and tried to sweat those pancakes out of myself. 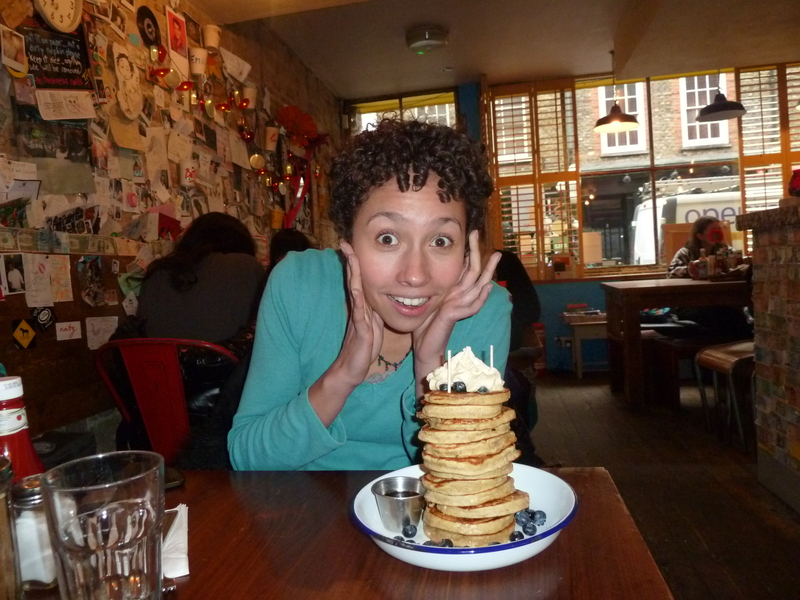 Previous Pancake Challenge for Pancake Day! Next One semla, two semlor… Swedish buns for Fat Tuesday! 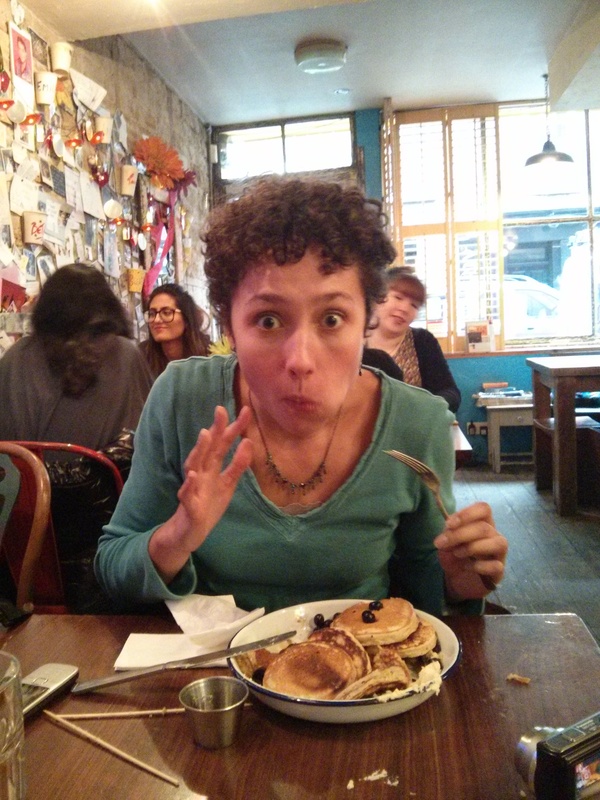 From a couple of years’ back – I complete the Breakfast Club’s 12 pancakes in 20 minutes challenge!